It still amazes me that a huge part of the fashion industry refuses to acknowledge plus size women as catalysts for moving fashion forward. 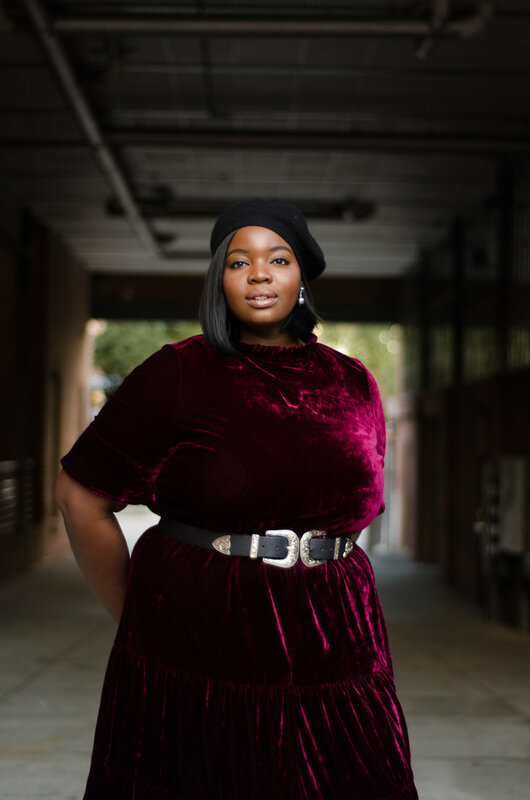 Fashion for plus size women, like me, is a whole lot more than body positivity. It’s also about inclusion in the process of making, modeling, and marketing fashion. As I continue to learn to love my body, even through the daily struggles, developing my personal style has had a huge impact on my journey. Clothes should be tailored for real women’s bodies, and not the other way around (this is motto for my future fashion brand/house :)). I love that Simply Be continues to offer fabulous clothing for different women with different styles. This fall, they are challenging you to break the boundaries with your fashion choices. The campaign features some absolutely stunning pieces like this velvet padded coat. Metallics are also right on trend for the fall, so I mixed two tones by pairing a pewter tee with a silver mini skirt. I finished the look with thigh-high boots and silver accessories. My instagram timeline has been flooded with Paris Fashion Week images, so my second look was definitely inspired by a Parisian chic vibe; with a little twist of course. 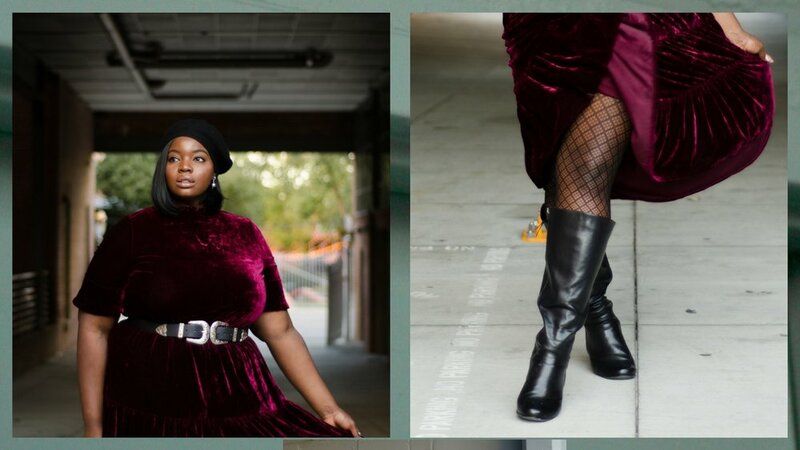 I paired this stunning velvet dresswith a statement double-buckle belt, diamond-patterned tights, knee-high boots, and topped the look off with a beret.